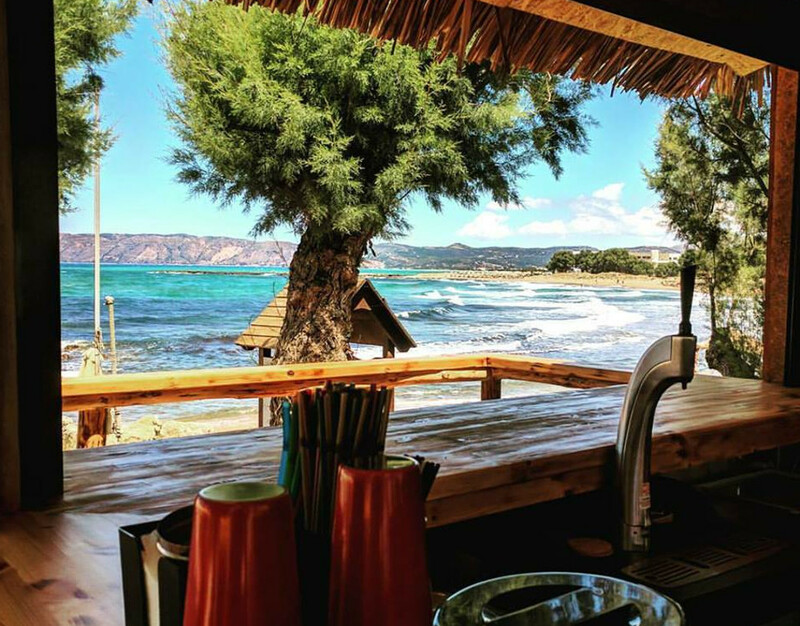 One of Crete Island’s most underrated coastal towns, Kissamos (Kastelli) is a seaside village on Kissamos Bay known for its wine and olive oil, and as a departure point for famous Balos Lagoon. 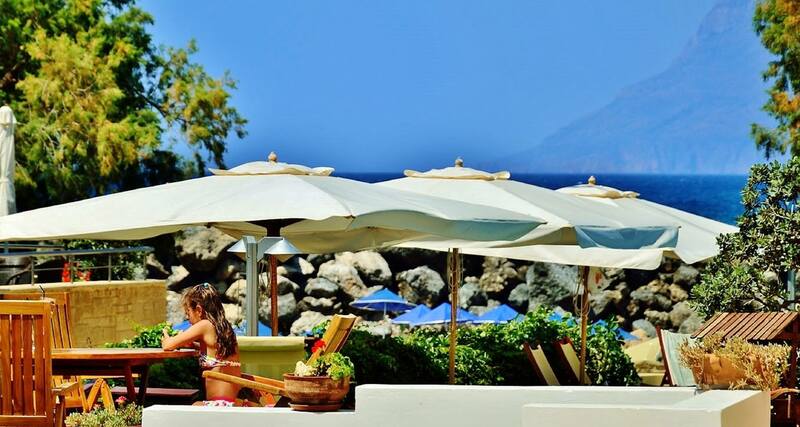 The beauty of the town, however, lies in its adherence to tradition, and the unspoiled ecotourism that surrounds it. With a population of just over 5000 people, Kissamos is a unique place if for no other reason than its chameleon-like character. At one moment the town can seem like the typical sleepy fishing village, and then some special festival or cultural event wakes up locals and visitors alike. The locals here have embraced the tourism economy, but alternative niches suit the local better than your typical beach party vacationing. The town attracts throngs of bird watchers, walkers, and nature lovers rather than bikini-clad twentysomethings. In antiquity, the town was known as “Cisamon” in a mention by Pliny, and as “Kissamos Town” by Ptolemy. The town is said to have been the naval base and arsenal of ancient Aptera, as well. A flourishing hub of commerce during the Roman period, a wealth of evidence to the town’s richness in the form of Roman baths, villas with mosaic floors, cemeteries, an aqueduct and the remains of the fortress walls attest to the whole area’s importance. The town was also famous culturally as indicated by a mention of a famous theatre which was noted by Onario Belli in the late sixteenth century. It is also believed that an area just outside of town was once a base of the legendary hero of Troy, King Agamemnon. In the Byzantine period, Kissamos remained a powerful religious and commercial center. Then during the Venetian occupation, the diocese of Kissamos was received into the universal church, as mentioned by a Latin bishop in 1307. From the period 1579 to 1582 a fortress with a pentagon-shaped church, prison, barracks, and well was constructed. During the Turkish occupation Kastelli (Kissamos) participated in revolutionary attacks against the Turks. 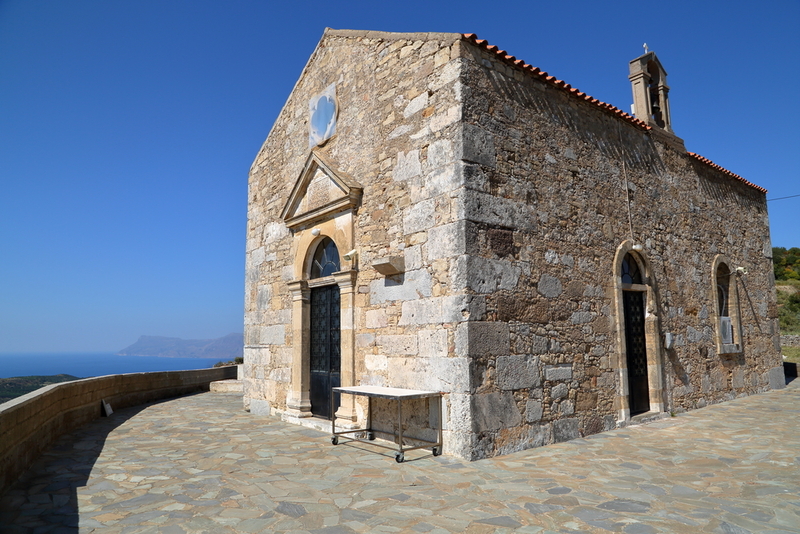 Finally, during World War II Kissamos was an active center for the resistance against the occupying Nazis. Today, Kissamos appears as it must have decades ago. Situated in a fertile area known for its grapes, sultanas, wine, and raki (tsikoudia), the most important physical features of the place are the long sandy beach along the bay and the harbor situated just outside of town which links Crete with mainland Greece and the aforementioned Balos Beach. Directly in front of town is Mavros Molos Beach, which has fine sand and shallow clear waters to swim in. To the east, you’ll find Livadia Beach, which is a small segment of the larger stretch of sand that runs from Kissamos and ends in the Cape Rodopos. Just outside town, also to the east, there’s Telonio Beach, made up of pebbles and sand. In town, visitors can expect to find a good number of shops and supermarkets supplied with every conceivable type of merchandise. At Tzanakaki Square or Kastelli Square, there’s a mostly pedestrian zone where people can stroll unincumbered by the sea or sit and watch the sunset at a taverna or cafe. Just outside of town the picturesque fishing port with two tavernas waits. 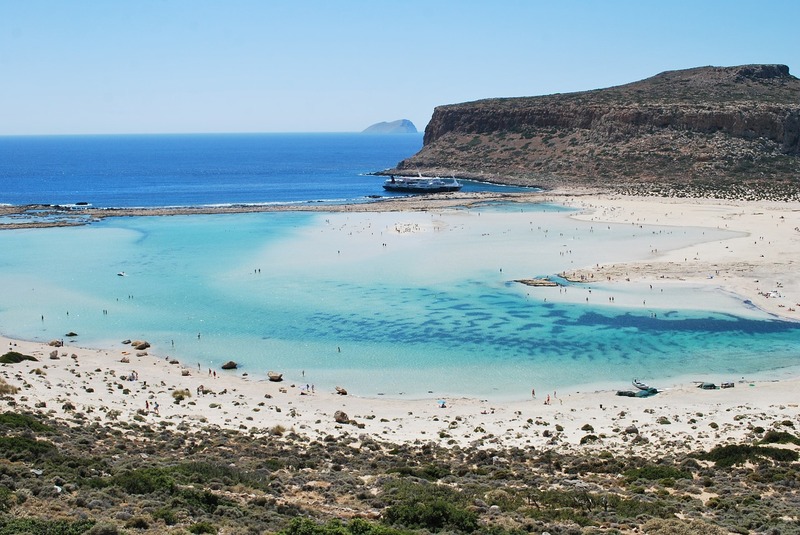 The larger commercial port that links Kissamos by a ferry service to Kythera, the Peloponnese and Piraeus is also where daily cruises take swimmers and sunbathers to the island of Gramvousa and the lagoon of Balos. In between these two ports you’ll find a charming little 10th-century church (reconstructed in 1947) dedicated to St. John Damiali. Built right into the face of the solid rock, there’s a cool tunnel here that leads to the amazing pebbly cove and the enchanting waters off Damiali Beach. Editors note: In 2014 we visited Crete for the first time and explored all around the Kissamos area. As a note of suggestion, take the ferry to Balos rather than driving the death-defying road there. Other sites to see include; Parthenos Monastery, Castel Chissamo, Kedrodasos Beach, Sfinari Beach, and famous Falasarna Beach a few kilometers farther west of Kissamos, and the amazing nature lover’s favorite, the Gorge of Chalase. 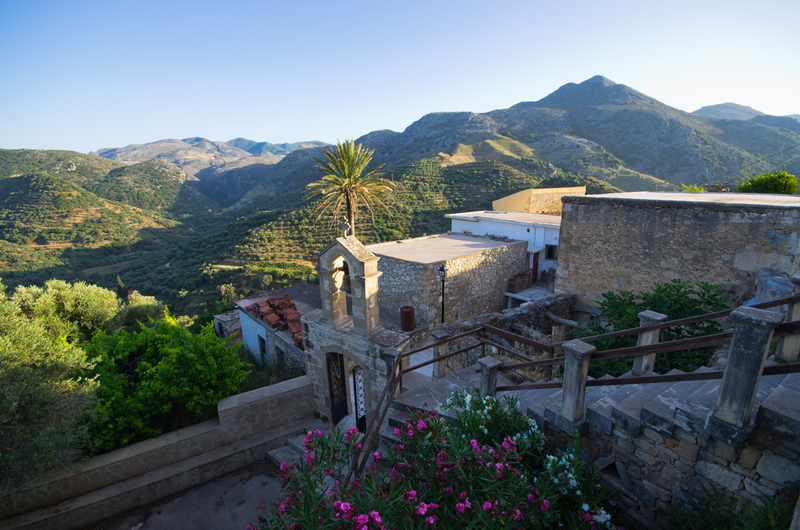 Of course, these are just a very few suggestions for your visit to the far west of Crete. I have not mentioned Elaphonisi Beach, the White Mountains, and the natural wonders on the southwest coast underneath Kissamos. We’ll cover it all, but please bear with us, Crete is a massive editorial undertaking. 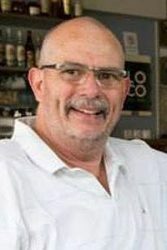 As a final note, I’d like to thank Nikos Choudalakis of Aphrodite Beach Hotel for allowing us to use photos from their Facebook at the last moment. As it turns out, we had very few images in our database.